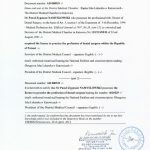 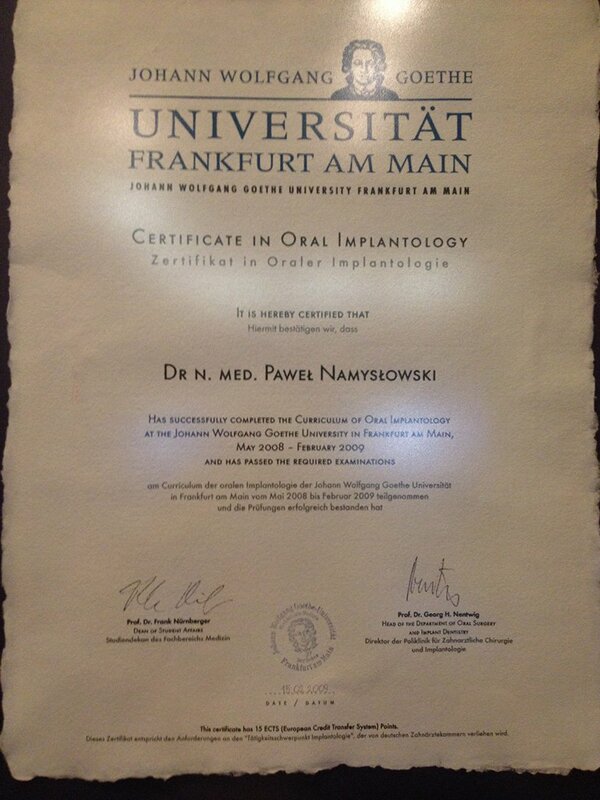 Doctor Namyslowski graduated as a dentist from the Faculty of Dentistry, Silesian Medical Academy, Zabrze. 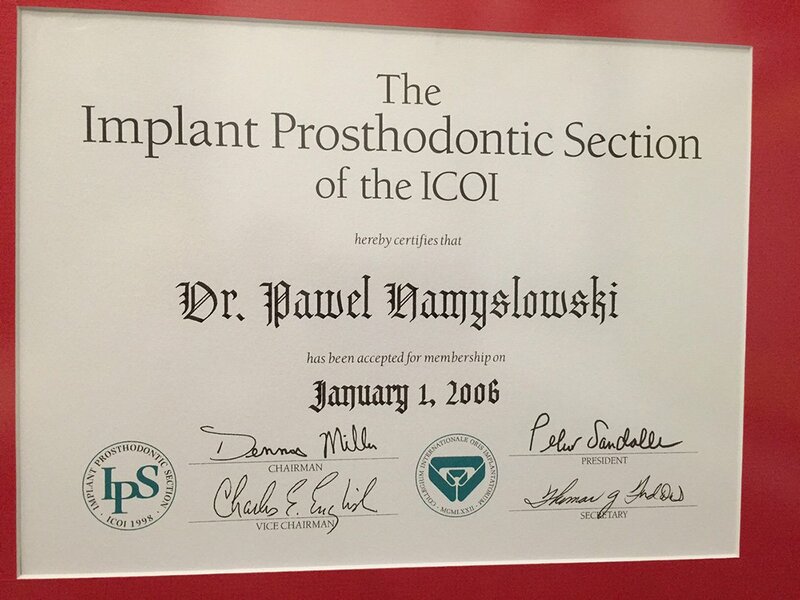 From 1999 to 2003 postgraduate training at Prostetics Facility of Silesian Medical Academy. 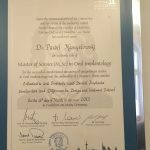 He worked as an assistant at Department and Facility of Temporomandibular Disorders at the Silesian Medical Academy (ŚLAM). 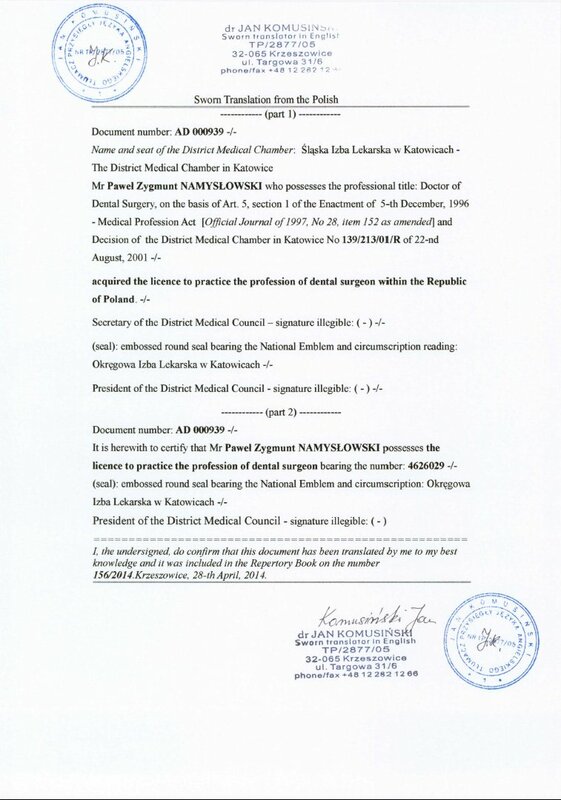 In the meantime, in 2002, he received the title of a doctor of medicine (MD PhD). 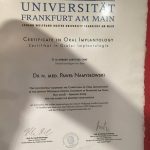 He graduated with distinction. 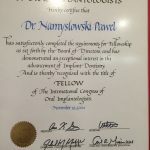 He was dealing with diagnostics and treatment of Temporomandibular Disorders, on which he has published several academic publications. 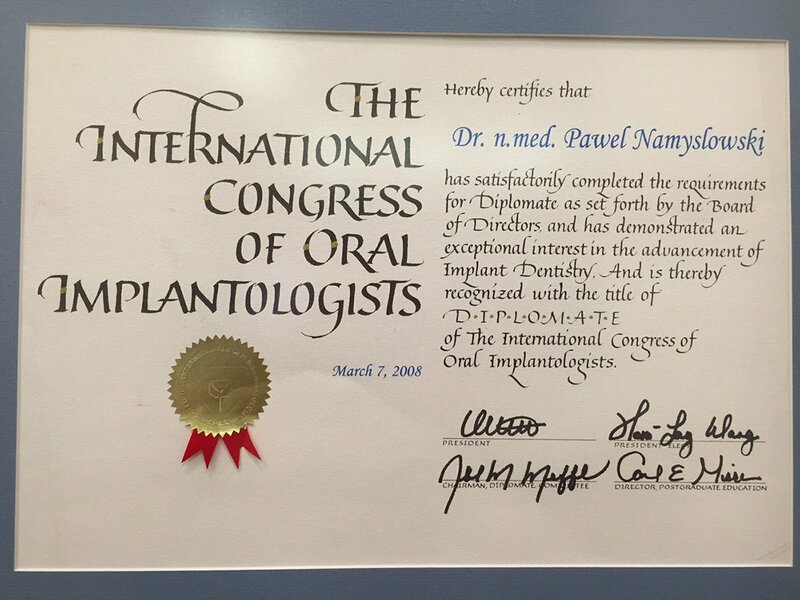 In 2007 he received the title of an expert of implantology from DGOI, the world’s largest implantology ogranisation. 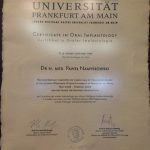 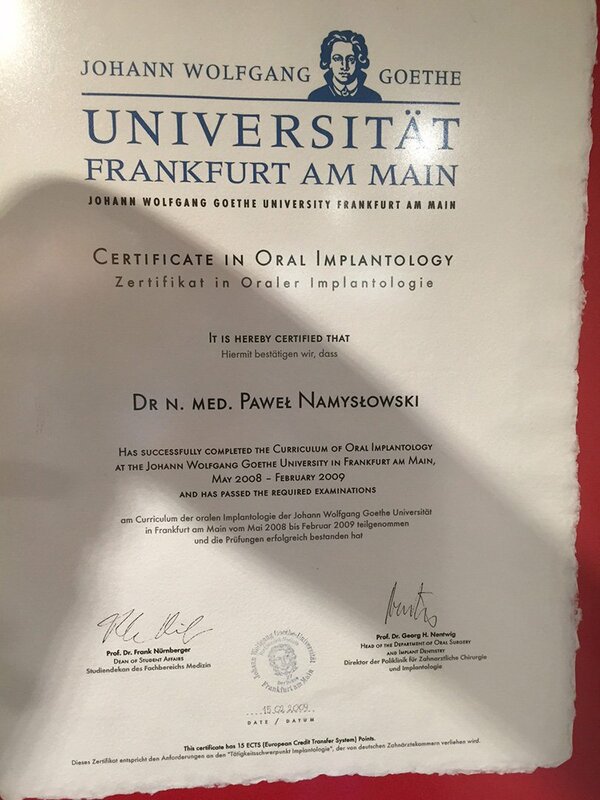 In 2009 he graduated in Curriculum of Oral Implantology from the Goethe University in Frankfurt, Germany. 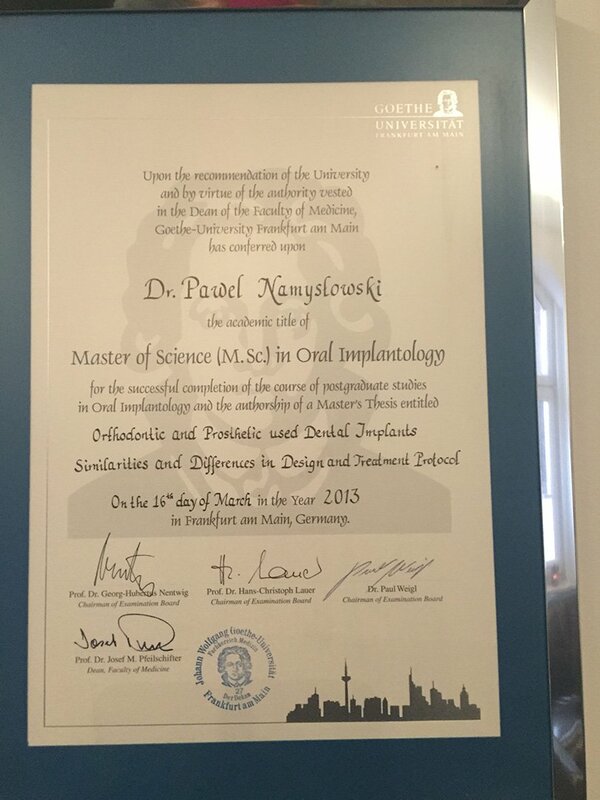 At the same time he started the prestigious postgraduate studies – Master of Oral Implantology (MOI). 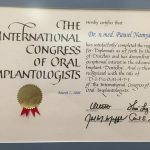 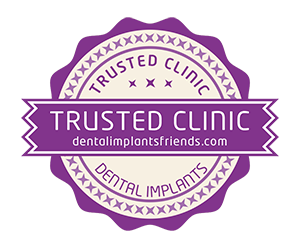 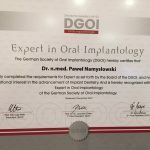 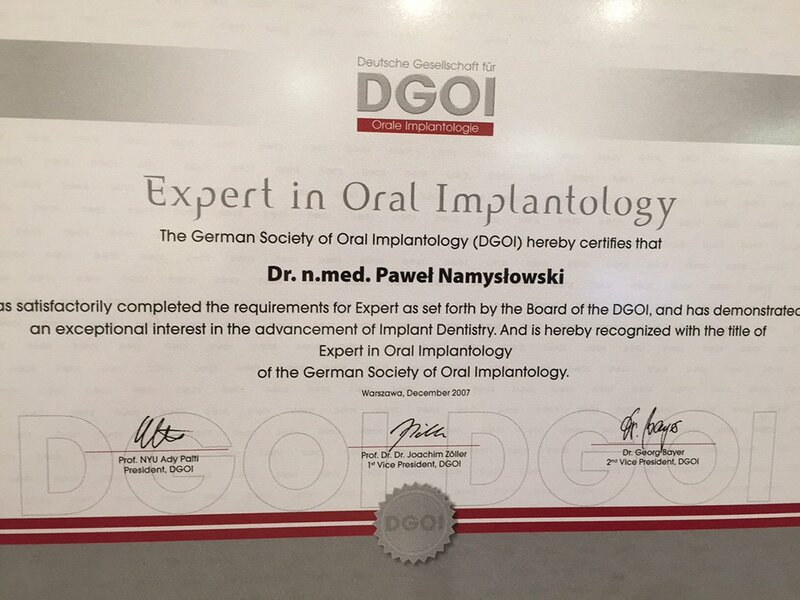 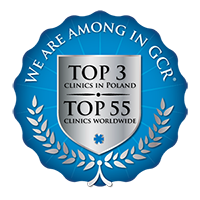 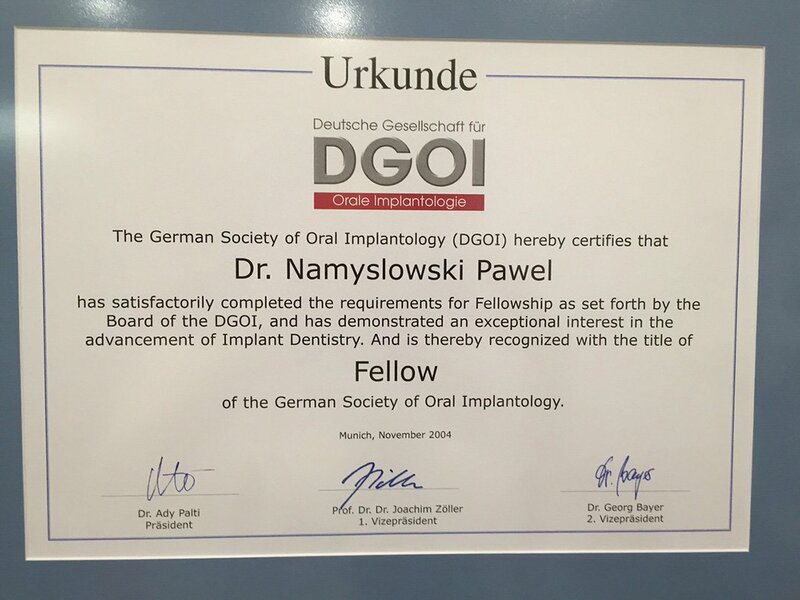 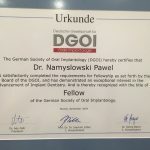 Doctor Pawel Namyslowski specializes in dental surgery, implantology implantoprosthetics and prosthetics.